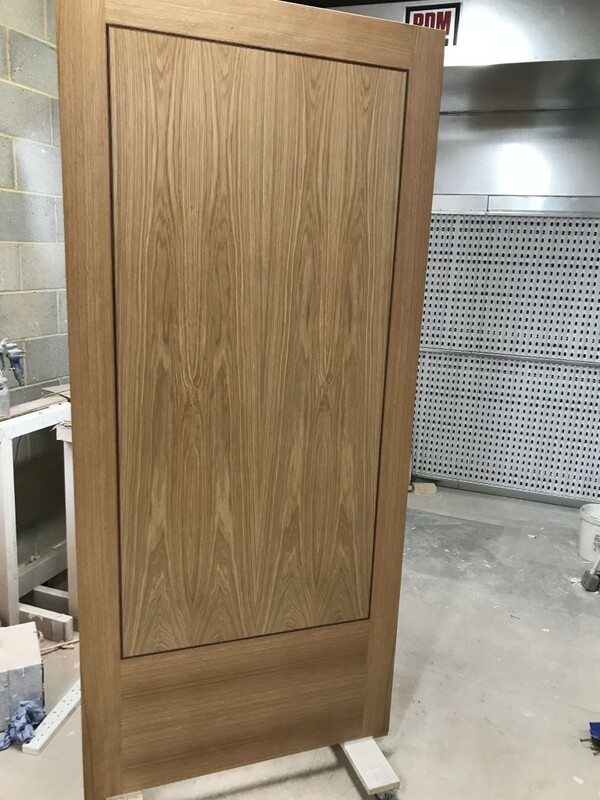 Some recent Oak veneers, something a little different from the norm. 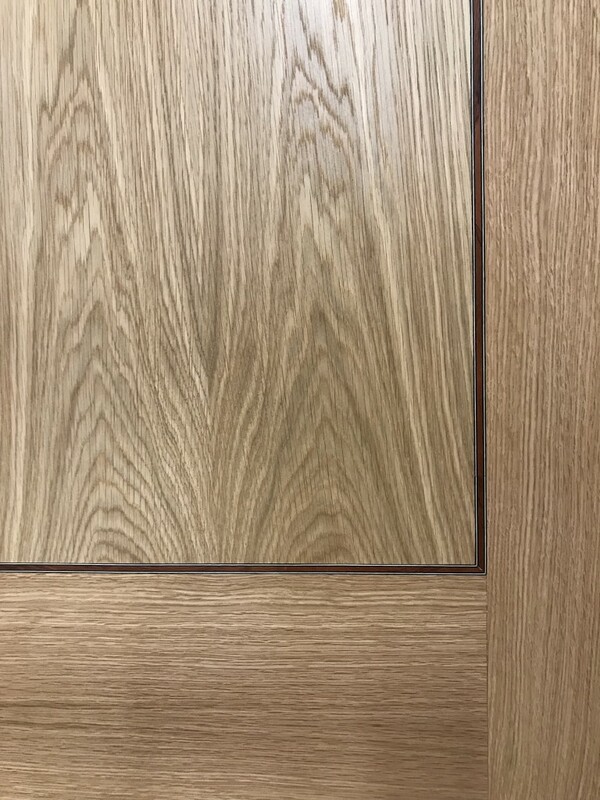 The first images are a stile + rail American White Oak veneer with an inlay jointed in between, giving a nice contrast. 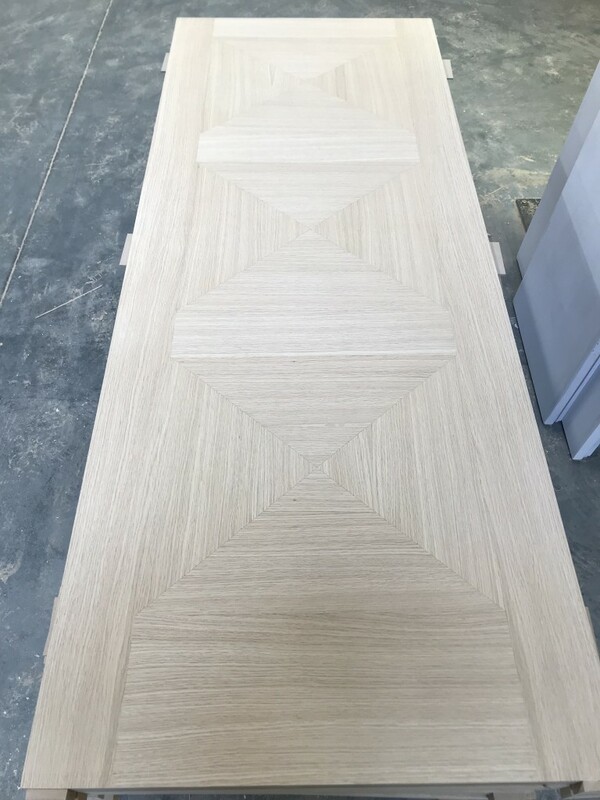 The design was requested by the client as its matching up with some existing doors in a hotel. 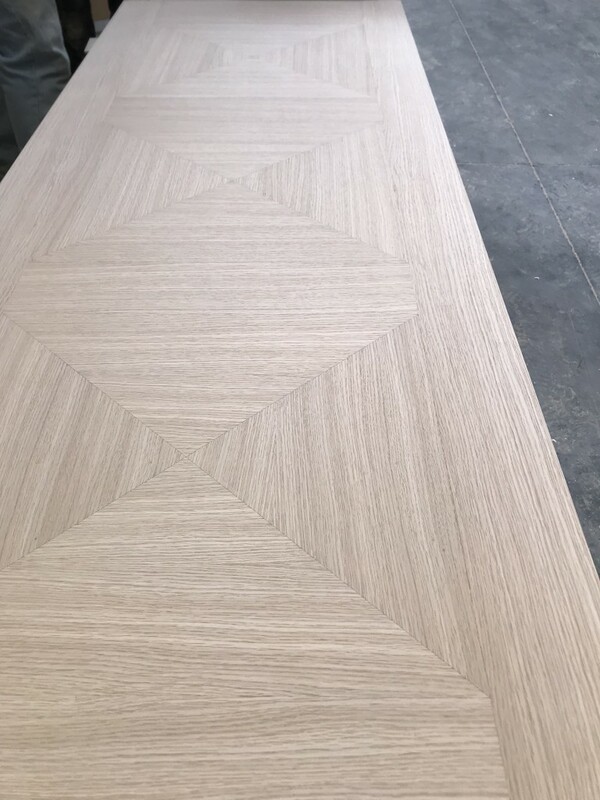 The next are an unusual design, 1/4 Cut American White Oak which has been laser cut and jointed to make the interesting design. 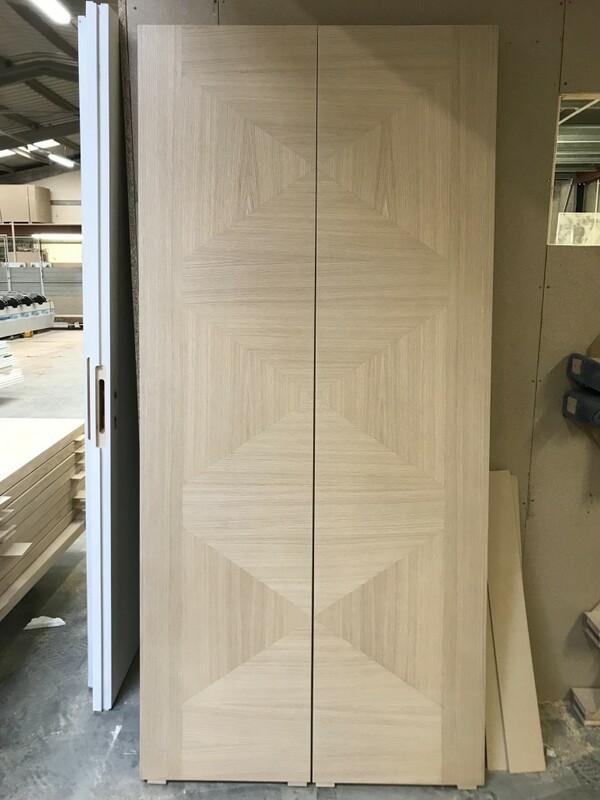 The client has chosen this design themselves as it was based on a door design they had previously liked but wasn’t available anymore. 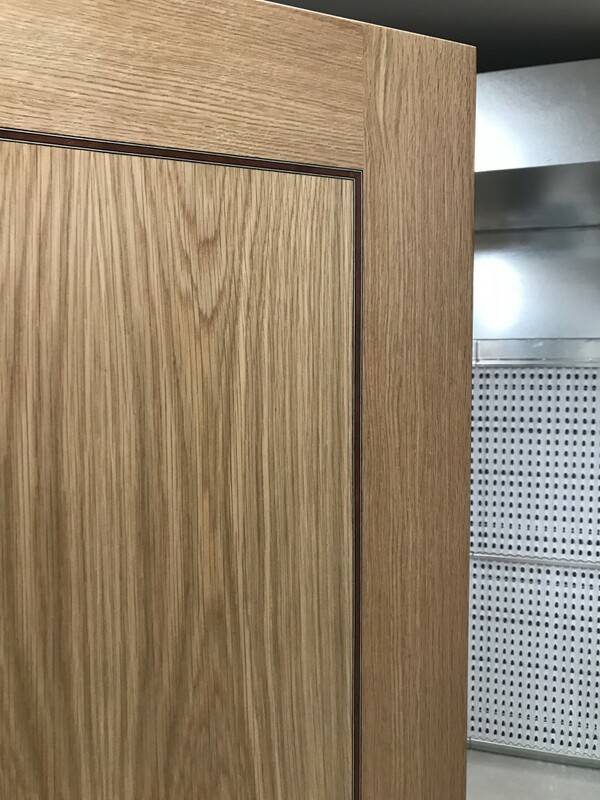 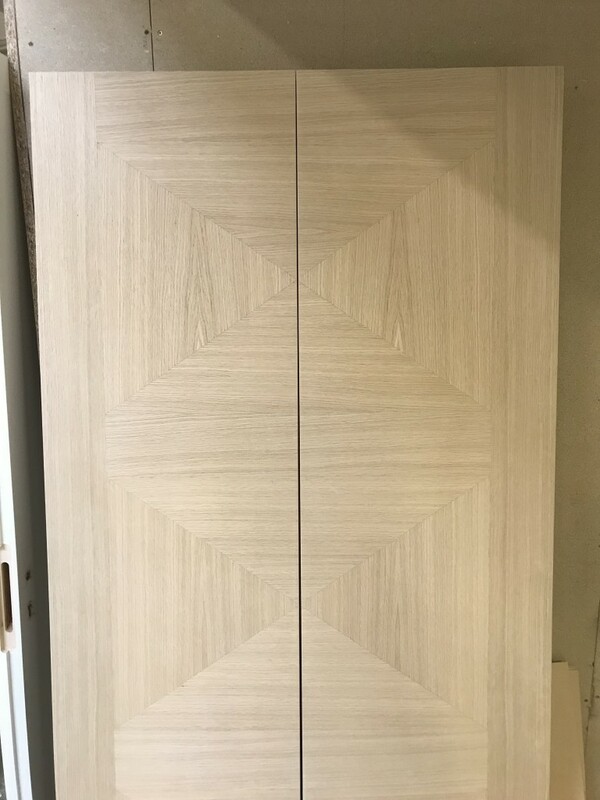 The below are a pair of cupboard doors which the veneer design was laid over the pair so it joins exactly in the middle.